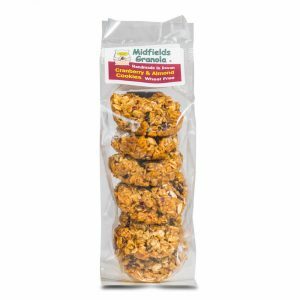 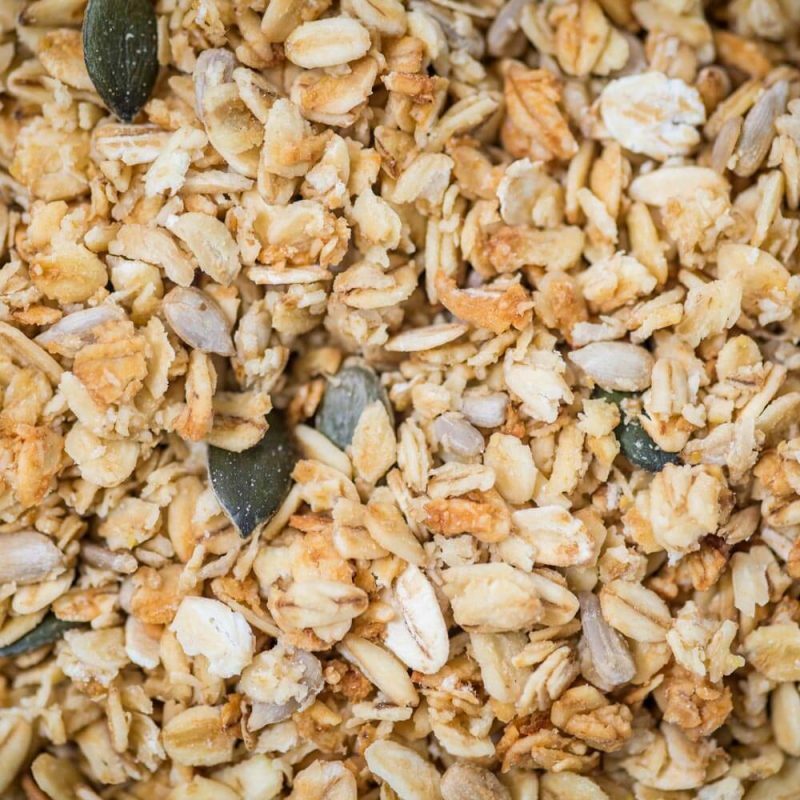 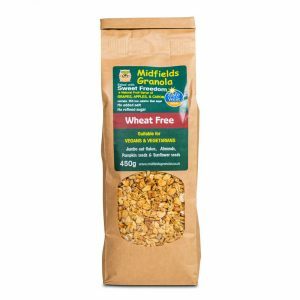 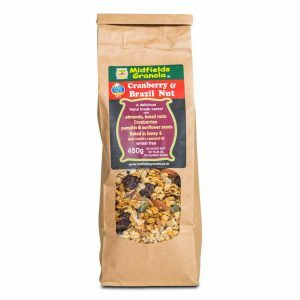 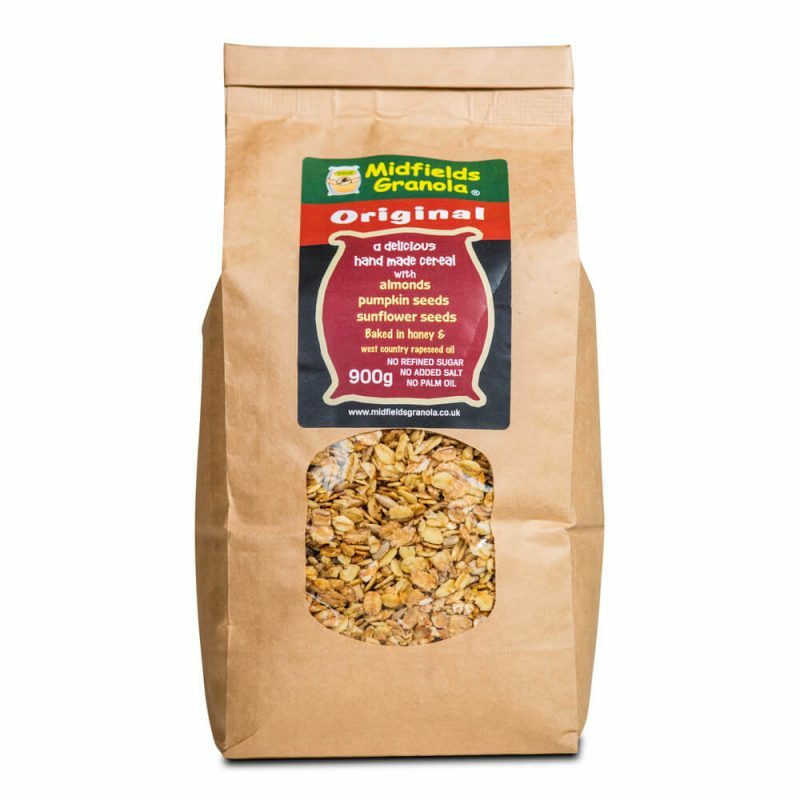 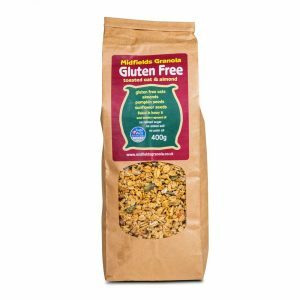 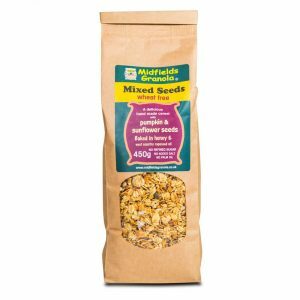 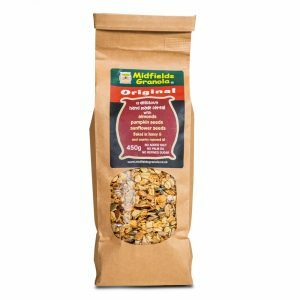 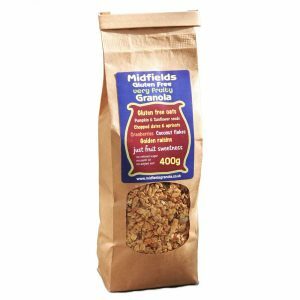 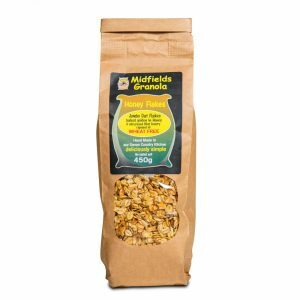 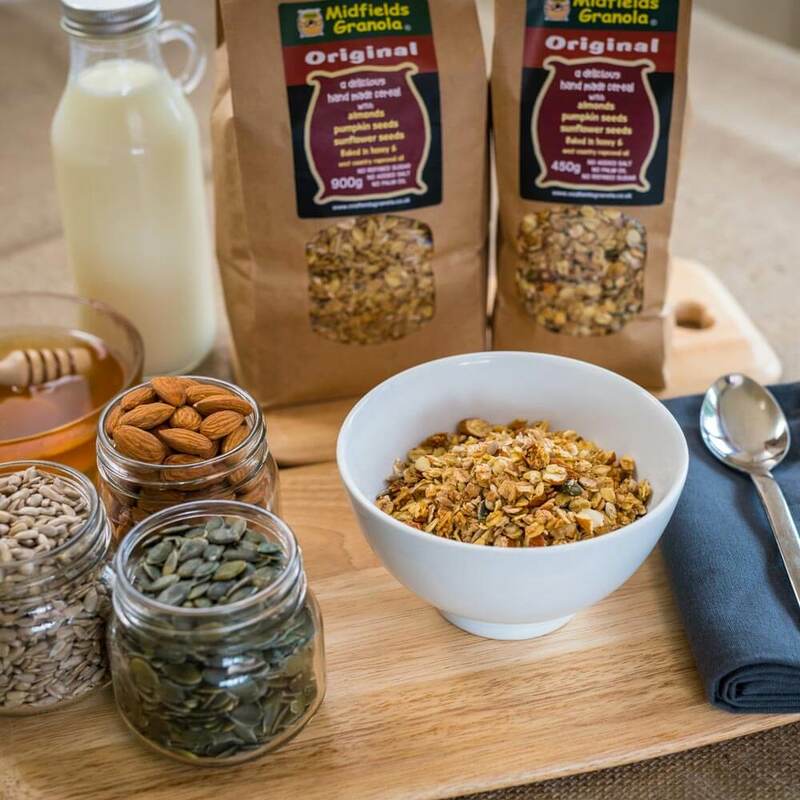 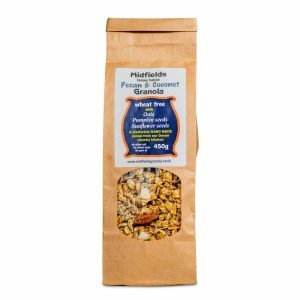 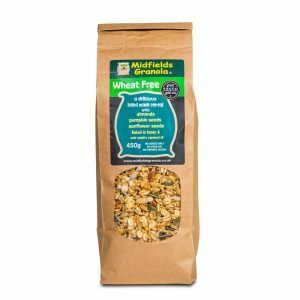 A crisp golden cereal with finest Scottish jumbo oat flakes, wheat flakes, chopped almonds, pumpkin and sunflower seeds. 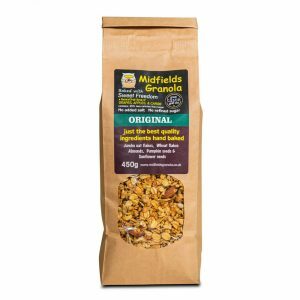 Baked in honey and West Country Rapeseed Oil, with no extra salt or sugar added. 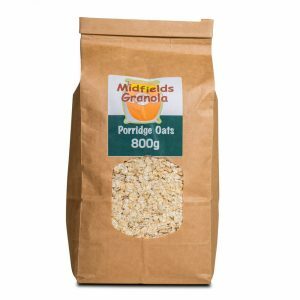 Suitable for Vegetarians.